Everybody knows that a stethoscope is used to listen to the heart and lungs. But did you also know that it can be used to listen to the intestines and the blood flow within the veins? 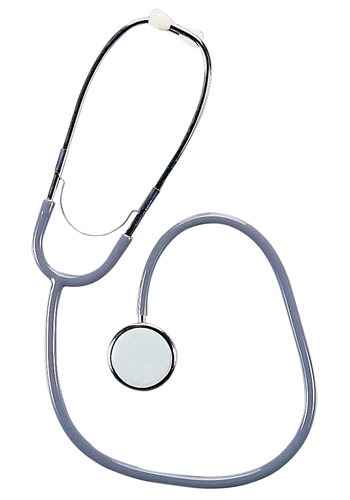 Or did you know that the original stethoscope was invented in France, and was made of wood? You can learn cool facts like these and use them--along with this Deluxe Doctor Stethoscope--to add authenticity to your doctor or nurse costume this Halloween! If you plan to go all-out on the town or you just want to take the temperature of all the Halloween parties in the neighborhood, you will look extra noble and super professional with this accessory draped over your white coat. Let’s just hope no real medical emergencies occur in your presence...you look so realistic that people may expect you to save a life!